Double pane windows will range in price from $200 to $1,400 fully installed. This is a HUGE cost range due to the fact that nearly all windows sold today are double paned because they are so much more energy efficient than the older single pane aluminum windows that were popular 50 years ago. Double pane windows have two panes of glass that are separated by an air space or pocket that is often filled with an argon or krypton gas. The air space, gas fills, spacer system, glazing and glass seals all work together to deaden sound and to stop heat, cold and air from transferring from one pane to the other. The result is a much more energy efficient window than the old single pane windows of yesterday. Budget double pane windows cost anywhere from $200 to $550 fully installed. This price point will typically be a vinyl window that will run from the super low end ($199 fully installed teaser price from a company like Window World) to a very nice mid range vinyl window from a well known manufacturer such as Harvey or Simonton. We typically don't recommend going with a low end option if you want to get the most long term bang for your buck. However, check out our best replacement windows section to see some of the brands and models that are we do like. 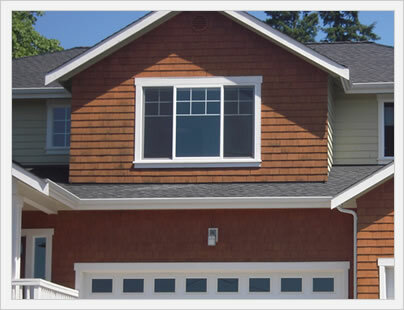 Some of the low to mid range composite windows such as Amsco and Milgard Ultra will sneak into this price point. Mid range double pane windows cost somewhere in the $500 to $800 range fully installed. This opens up a ton of frame and material options from great companies such as HiMark and Sunrise. $500 to $750 is the mid to premium vinyl window market so for $750 should be looking at a premium window or model from a top company with an upgrade to the glass package etc. The $600 to $700 range starts getting into the fiberglass, aluminum, wood clad and mid range composite models, as well as some of the lower end wood windows like the Andersen 200 series. Most homeowners can get an exceptional window in the price range. 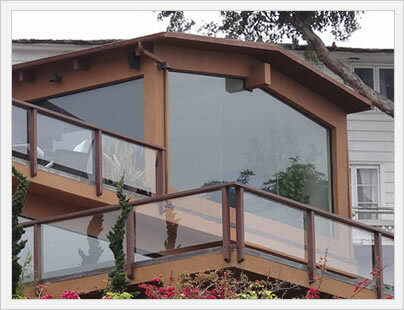 High end double pane windows cost run from $800 all the way up to $1400 + per window fully installed. This will include mid range to high end fiberlgass windows like the popular Marvin Infinity, mid to high end aluminum windows and mid to high end wood clad windows like the aluminum clad Loewen wood window. It is includes the high end composite windows from Renewal By Andersen that can run $1000 to $1200 per window and are, in our humble opinions, not worth that very steep price tag. Other popular manufacturers include Pella and Andersen Windows.